US equity indexes closed moderately mixed, sp +4pts at 2579. The two leaders - Trans/R2K, settled +0.2% and -0.6% respectively. 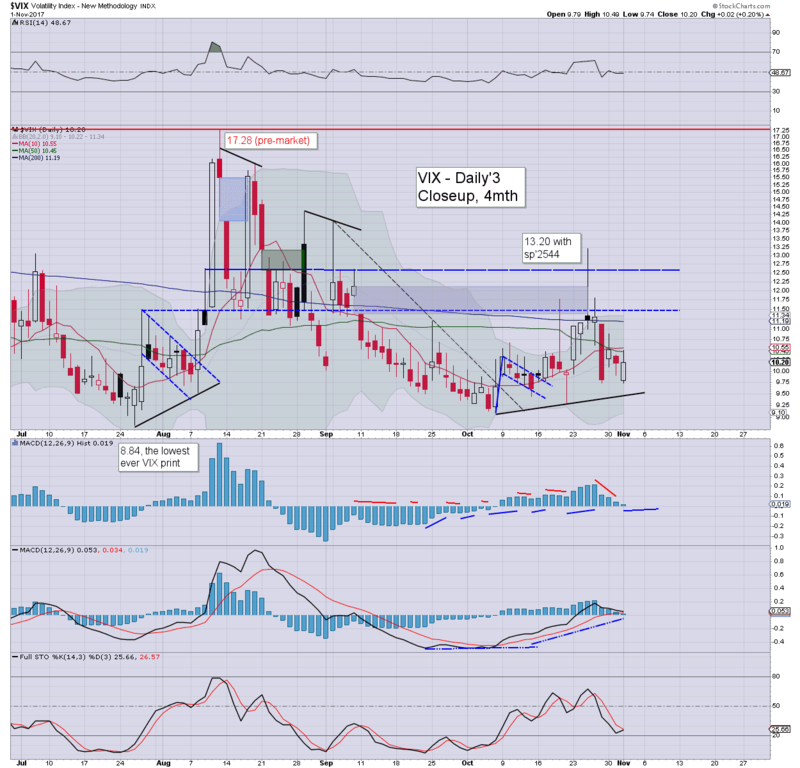 VIX settled +0.2% at 10.20. Near term outlook offers moderate cooling to sp'2560. The year end target of sp'2683 has come within 95pts (3.7%) of being hit. US equities opened moderately higher, with new historic highs in a trio of indexes. 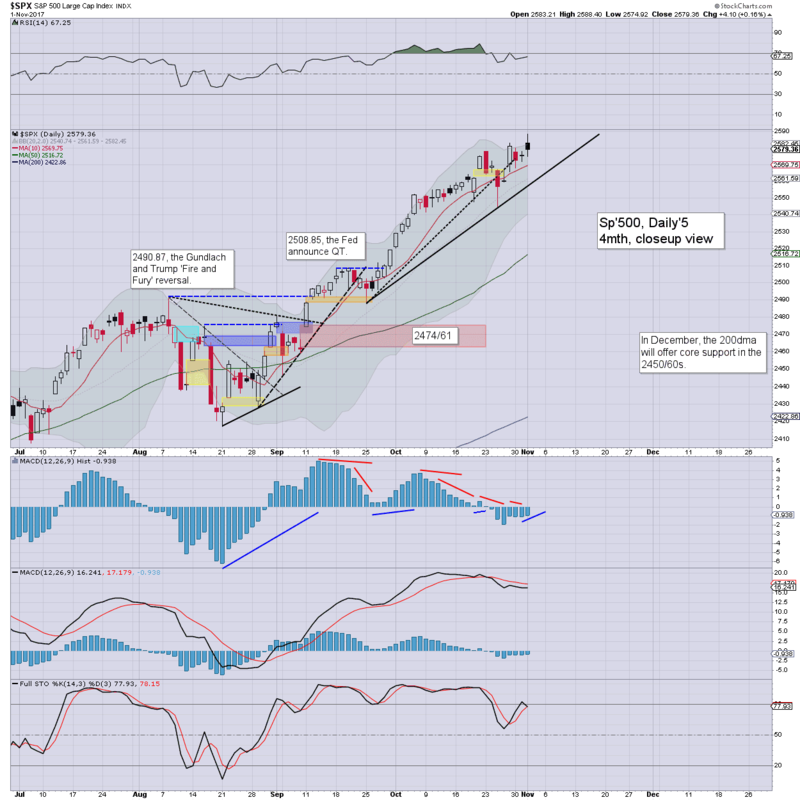 The sp'500 cooled from a new high of 2588, and briefly traded fractionally negative. The settling black-fail candle should concern the s/t bulls. Market volatility remains broadly subdued, with the VIX again falling into the 9s, but settling fractionally higher in the low 10s. Near term outlook offers sp'2560 with VIX 11s. Things only get interesting if last week's low of sp'2544 is taken out, along with a VIX daily close >12.50. Pres' Trump is expected to announce the nomination for the next Fed chair at 3pm EST. yours truly is expecting (or perhaps that should be hoping), the choice will be Taylor. According to DJ, the choice will be Powell. 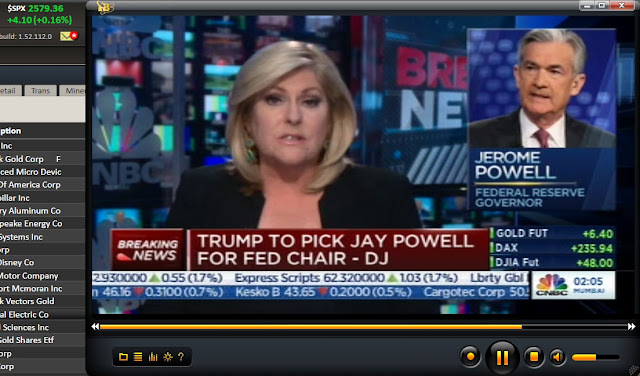 This makes little sense, when you compare the background for Powell vs Taylor.